Looking for Acupuncture in Solihull from a Fully Qualified Acupuncturist. 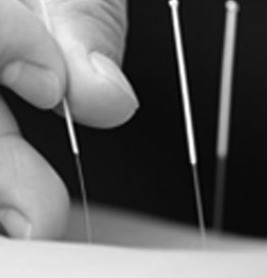 At Urban Body we offer Acupuncture in Solihull to help with all ailments. Acupuncture is a system of healing which draws on over two thousand years of experience gained from Chinese medicine and from the Far East. Acupuncture is one of the many skills used within physiotherapy as an integrated approach to the management of pain and inflammation and as a means of stimulating the body’s own healing chemicals in order to aid recovery and enhance rehabilitation (getting better, quicker). Illness can occur when the flow of energy around the body is blocked or is uneven, which causes symptoms. Acupuncture works by rebalancing the body’s flow of energy and creating a better environment for the body to heal itself. The insertion of fine needles at specific points of the body enables the acupuncturist to stimulate the body’s own healing response to restore a healthy balance and treat the injury. The resulting relief from physical and emotional discomfort often leads to patients experiencing a sense of wellbeing after treatment. If you are looking for Acupuncture in Solihull get in contact today. For more information on our Acupuncture programme, please use the form below.